How many of you have already heard of the Hexawheel concept by Mercedes? Speed bumps a problem for your off-road vehicle? How about giant obstacles almost as tall as your vehicle itself? 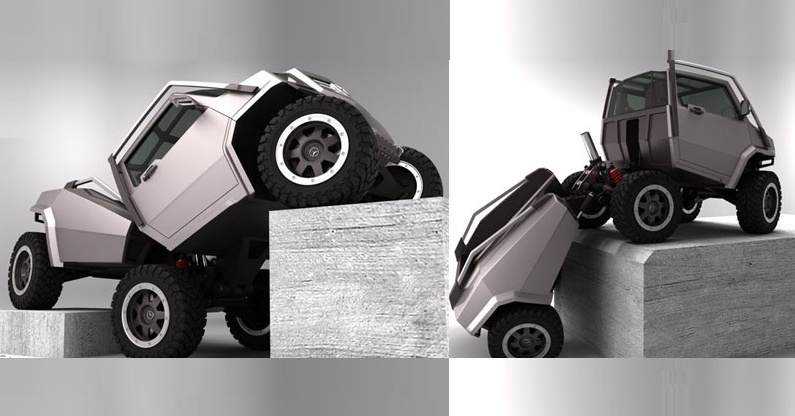 The Hexawheel is a 6-wheel concept vehicle intended for extreme ATV climbing. In Mercedes’ concept, the vehicle can climb heights limited only by the length of the vehicle. Weight distribution for the Hexawheel is even on each axle while the vehicle is in normal position, which helps it climb gently, without any need to jump. In order to prevent damage in the wild, where sharp rocks project upwards, the bottom of the vehicle is plated so it can slide along any such obstacles. The vehicle is also designed to climb and turn simultaneously. The hydraulic cylinders control the appropriate angle of the vehicle’s rear length in accordance with the steering system. Have you ever seen an ATV climb like this before?